The British Go Association regularly publishes a newsletter (now electronic only) and the British Go Journal, both of which are sent to members. It also publishes leaflets and booklets about Go. History of the British Go Journal goes back to the late 1960s and it is produced three or four times a year by the Editor and his assistants. Anyone can submit articles or letters for consideration according to the guidelines. Articles are both technical and non-technical, including reports of tournaments and other events, problems, game analysis, reviews and so on. The game diagrams of recent editions are available in sgf format on this web site. Also included in the most recent are book and software reviews and some expanded articles. 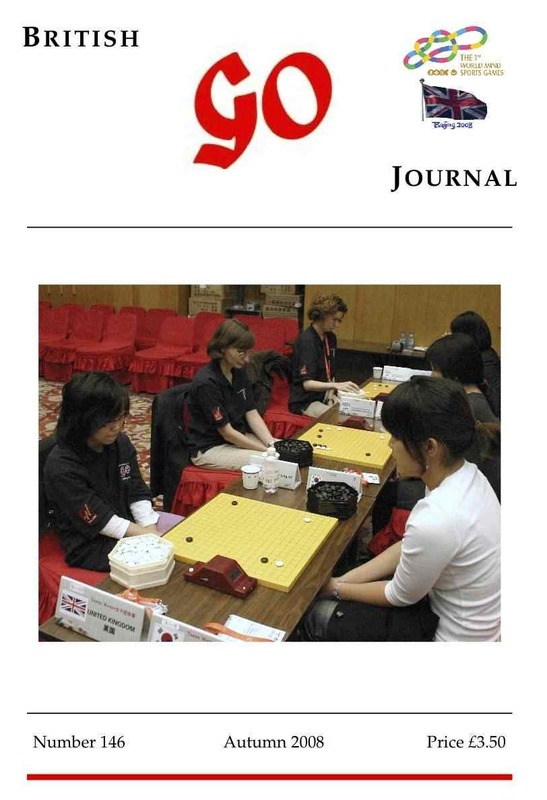 An online PDF archive of all old issues of the British Go Journal is available here (the most recent ones are restricted to Association members), as well as some individual articles and reviews. Collectors can buy backnumbers (orginals or reprints). A BGJ Index is also available for issues 0 to 112. History of the newsletter goes back to 1982, since when the newsletter was produced every two months and sent to members on paper. Old editions of the newsletter are available online in the Newsletter Archive. Included were flyers for forthcoming tournaments. The paper version ceased in April 2012. Since 2010 news has been posted on this website for online browsing and the newsletter was also made available as a PDF for downloading. From July 2012 an electronic-only version was produced four times a year, alternating with a news page in the British Go Journal. From issue 201 in December 2014, the newsletter has been monthly online with an email notification, also readable online in the Newsletter Archive. We are now also publishing a Youth Newsletter, available in the Junior Section. 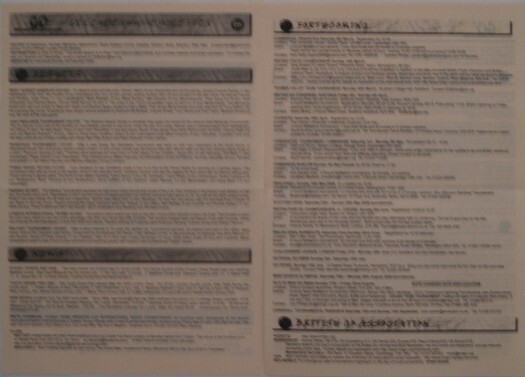 From November 1994 until September 2001 we produced an electronic E-Journal which alternated with the newsletter. This was replaced by online news pages, split into categories such as UK tournament Results, Overeas Tournament Results and General News. These pages have also had the E-Journal stories merged in and are now available as annual files from 1994 until 2009. From 2010 this has been replaced by rolling news stories. We publish leaflets and booklets to help promote Go. These are made available to the public at Go outreach events and to clubs for help in their Go promotion. 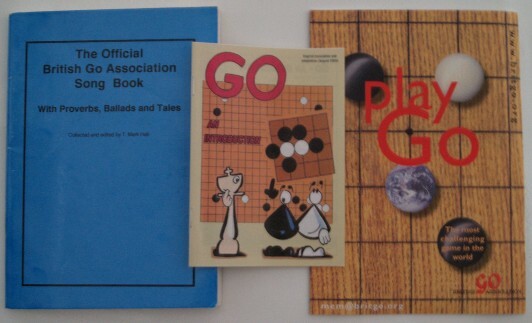 There are also handbooks (available online) for Go organisers. In addition some books have been produced by our members, such as one on Proverbs, a puzzle book and the British Go Association Song Book. 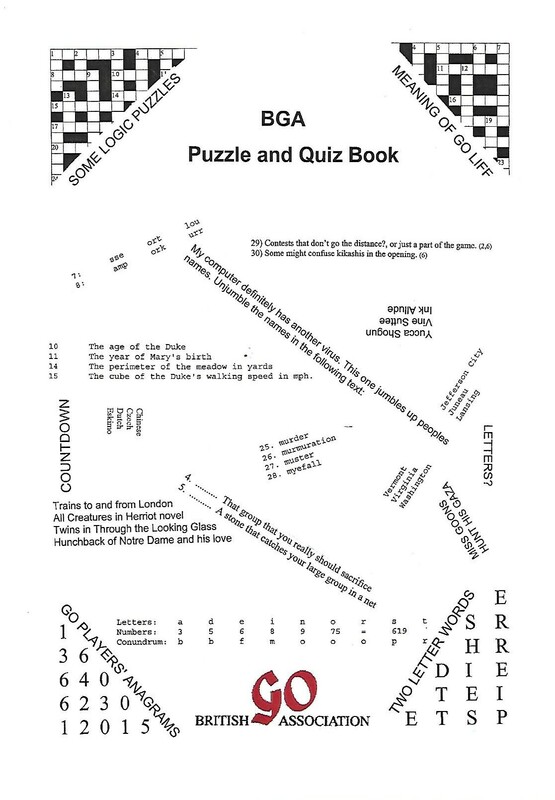 The BGA Puzzle and Quiz Book was produced in 2002 in memory of John Rickard, raising £2 per copy for the British Liver Foundation. The answer book was £8! We have also produced a cheap Takeaway Go Set. Stock levels of our various leaflets and sets, and other things, is available here (members only). Last updated Sat Feb 10 2018. If you have any comments, please email the webmaster on web-master AT britgo DOT org.